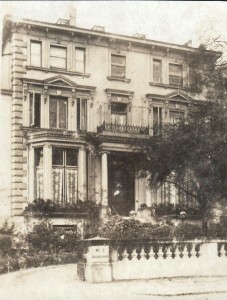 Tancred, the thirteenth child of Edward and Maria Concetta Agius, was born at Belsize Park Gardens in the spring of 1890. He received his early education at St Mary’s, St. Leonards-on-Sea and then transferred to Downside School in 1900 with his brother Edgar. In his final school year he gained the Gregorian Medal, awarded annually to the most outstanding pupil. In 1908 he was clothed as a novice at Downside Abbey (taking the same name as his uncle Dom Ambrose Agius OSB, Apostolic Delegate Archbishop in the Philippines 1904-1911) and after spending two years in the novitiate went up to Cambridge to read Classics. 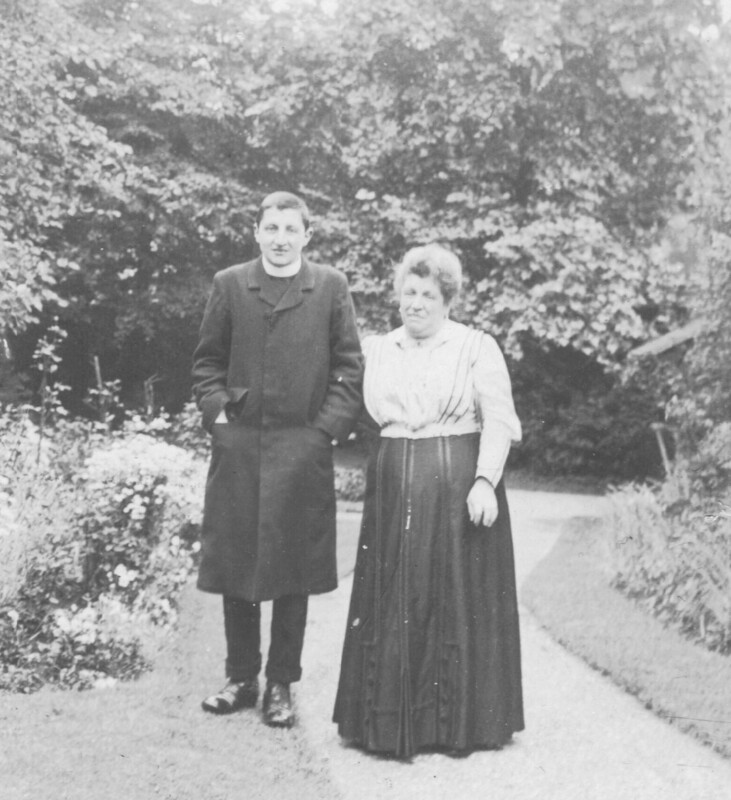 In the autumn of 1913 Tancred stayed for a month at Maria-Laach Benedictine Abbey in Germany, where Kaiser Wilhelm II and his sister came to tea! The remainder of that academic year was spent studying in Rome. 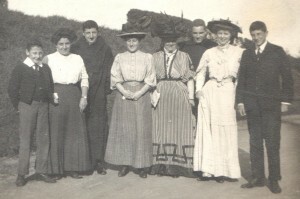 Travelling home across Europe with his monastic companions in the summer of 1914, he left Belgium just two weeks before Britain declared war on Germany. 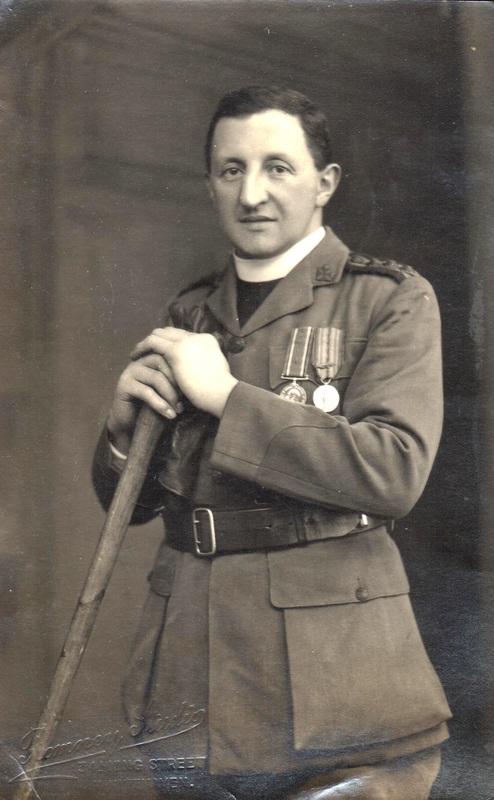 In September 1915 Tancred was ordained to the priesthood and in April 1917 took up an appointment as Chaplain to the Forces (4th Class), based with the 21st Artillery of the BEF. He served on the Western Front for a year – his battles including Polygon Wood and Cambrai – during which time he was wounded and mentioned in despatches. Dom Ambrose, (his name in religion), was a gifted author and poet. In later life he wrote an autobiography, detailing his experiences teaching in school, extensive pastoral work in the parishes of Somerset, Cumbria, Ealing, America – and most notably an account of his time spent in Liverpool during the Second World War, where his church (St Mary’s) was destroyed by enemy action. The following extracts from his autobiography paint a vivid picture of late Victorian childhood and life at “The Grove” at the turn of the century. Tancred himself was silent about his ministry on the Western Front, but documents held in Downside Archives provide us with a few snapshots of the dangers he faced on a daily basis. Extracts from “Christmas in Picardy”, first printed in the Downside Review, and the Rawlinson papers – are reprinted here by kind permission of Downside Abbey Archives. 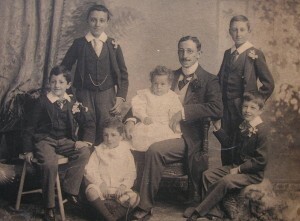 “I was the thirteenth child … all the five at the end of the family were boys, and how we appreciated it! We were at boarding school together, we always had enough for a game of tennis; in childhood we cooperated in every kind of hobby and pastime. “Uncle Edgar (Pater’s brother) had run away as a young man and joined the Black Watch, refused to be bought out by his mother, and fought at El-Teb and Tel-El-Kebir – at least, that is the version we had. He certainly fanned our martial flame. He bought us toy soldiers (standard size, and accurately made by W.H. Brittain), especially, of course, the Black Watch. He taught us to drill, and challenge on-comers on sentry-go. So we five brothers used to build camps, reconstruct battlefields to scale, and invent others, and practise attack and defence. We also made a gatling gun (mounted on wheels) with cap pistols. We sat with this outside the oratory one morning, and my Uncle sent his dog up the stairs to attack. We let him approach and opened fire (harmlessly, of course), and he turned and ran down again. 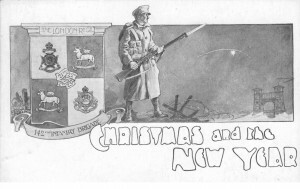 In 1915, my brother Arthur sat with his machine gun on the second morning of the Neuve Chapelle battle. With the first light of dawn the Germans counter-attacked, and his gun (which he had taken over himself) ran its traverse up and down, and the enemy fell in swathes a few yards away. During the South African War, we drilled and manoeuvred in the garden, to the annoyance of the tenant of a flat overlooking the garden. Another tenant, whose son was fighting in South Africa, sent an encouraging message. We didn’t need encouragement, needless to say, but it warmed us, and we felt quite important. A Close Encounter with the Kaiser! “After the Long Vacation of 1913, I was ordained subdeacon (in September) and sent off to the German monastery of Maria Laach en route for Rome. A red-letter day was the visit of Kaiser Wilhelm II and his sister and top brass. They had been at Bonn, celebrating the victory of Leipzig, and drove over by car. Great preparations had been made, the Cantor, who was away giving a Retreat to some nuns, recalled; and Vespers postponed. The latter especially pleased the Kaiser, as if he was one up on the Almighty. He was a magnificent figure in Jaegar (hunting) uniform, escorted by glittering generals in highly-polished topboots. At the end of a year’s study in Rome , Tancred and his companions made their way home to Downside, travelling overland across Europe, taking the time to admire many fine places on the way – Assisi, Perugia, Venice, Munich. 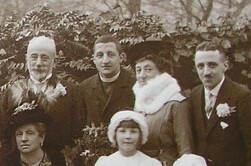 In September 1915 Tancred was ordained to the priesthood and just over a year later, in October 1916, was able to perform the happy duty of marrying his younger brother Arthur to his sweetheart Dollie at the local parish church in Hampstead. Brother Edgar was best man and Richard too was home on leave. Only Alfred could not make the ceremony as he was still on duty in France. Tancred ministered to the troops on the Western Front for a year and during that time he met up with brothers Edgar and Richard in June 1917. An account of their first unexpected meeting is given in the section of Richard’s story entitled: “In a Tent Near Mory”, (the title of a memorial poem later written by Tancred). On September 26th 1917 Tancred was wounded during the Battle of Polygon Wood. Returning from sick leave in late October, he learned of the tragic death of his youngest brother, Richard, at Poelcapelle. “All through the long and severe fighting, culminating in the capture of the Passchendaele ridge, the Division had been in the line. For the Field Artillery, to whom I was attached, it was a period of continuous and considerable strain. It was with universal relief therefore, that the news of our departure south was acclaimed. 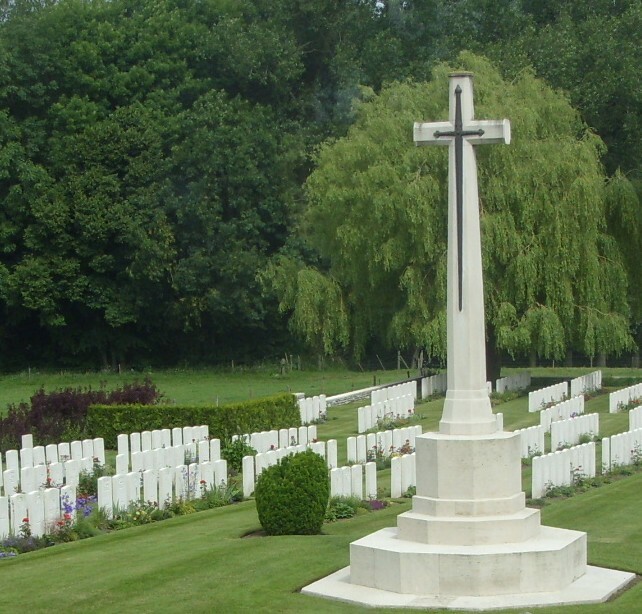 On November 15th we began a leisurely journey to our new quarters at St Catherine, the northern suburb of Arras. 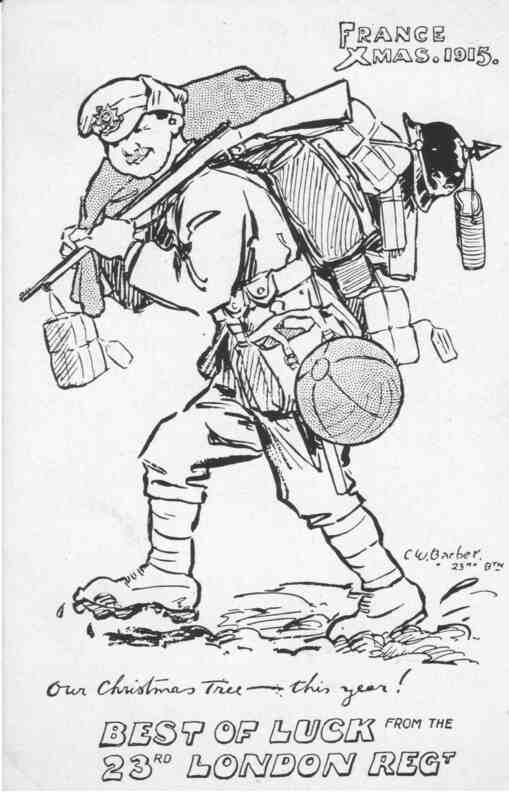 After the constant anxiety and danger of the battle area, that week’s march, through untouched villages and country unspoiled, was a most welcome relief. There was considerable excitement also over a rumour, ever-increasing in definiteness, that we were bound for Italy. By the time we had reached our destination this rumour had become certainty. New guns were picked up en route, fresh drafts of men and horses met us from time to time, stores were made up, and by the end of the month we were actually on the eve of following our mechanical transport to the Sunny South. The Cambrai battle, however, upset all our calculations. 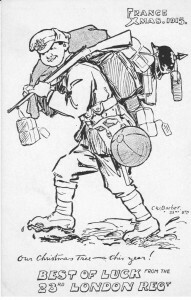 December 1st saw us hurrying along the Arras-Bapaume road towards the scene of action. There were five Divisions following the same route that day and the roads were crowded. By December 3rd our batteries were in action between St Emilie and Epehy. The battle, however, was virtually over and the front became quieter every day. 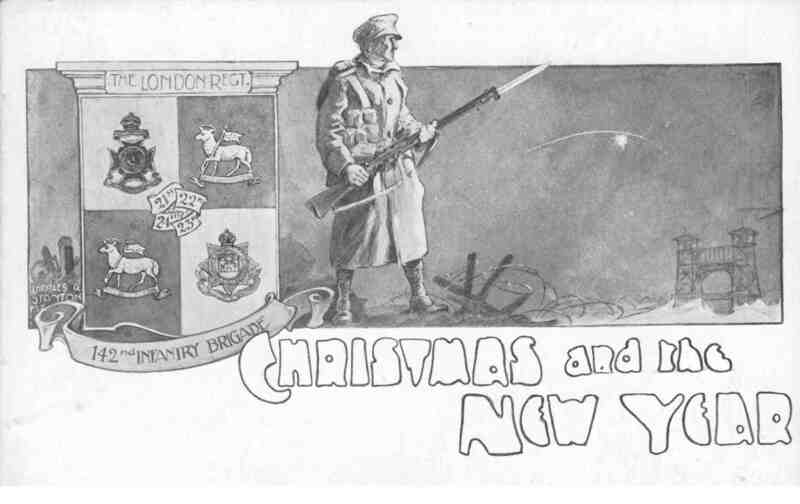 As Christmas approached, heralded by severe snowstorms, it seemed as if actual fighting was being relegated to a second place, and the main efforts of the combatants were being directed to securing some kind of winter accommodation. The Ammunition Column, with whom I lived, had been left to shift for themselves on the open crest of the hill overlooking Longavesnes, beside Tincourt Wood. There was no cover for the horses, and the men had only such makeshift shelter as they could improvise out of ground sheets. Our mess consisted of a large waterproof sheet stretched over four short poles, with a slightly higher pole in the centre. There were besides half-a-dozen tents used variously for guardroom, stores and sergeants’ mess. I had one, of a sort, to myself, and here I used to gather a handful of men in the evenings. We began with the Rosary. Then I made hot cocoa for them and fixed them up with cigarettes and papers. I arrived on the heels of a gas bombardment with which the enemy ushered in the feast. There had been a number of casualties, although the men had “gone to ground.” As darkness began to fall I set out on my return journey. Halfway between Epehy and St Emilie I noticed two siege batteries in a sunken road. I had passed them, when the chance of finding some Catholics in the position made me retrace my steps. It was just as well. I had hardly entered the nearest battery when the first shell of a ” concentration shoot ” fell beside the road. It was a much-frequented route, and the enemy had chosen just the time when the Christmas fare would be going up the line. For three-quarters of an hour he plastered the road and all the country behind Epehy with shells of varying calibre, including “gas” shells. Then the rain of projectiles ceased like a summer shower. I resumed my journey. As I passed through, signallers of the gunners and engineers were swarming out to gather up and re-erect the dangling telegraph wires. I pushed on through the gathering darkness… As I entered on the rise out of Longavesnes I met two disconsolate figures, rushing wildly backwards and forwards in the half-frozen snow. They had been in charge of the Christmas pig for their unit (Christmas without pork was out of the question), and the victim had escaped into the night. I left them searching. Towards midnight I made my way down to the Field Ambulance at Longavesnes. There, in a large double Nissen hut, the Senior R.C. 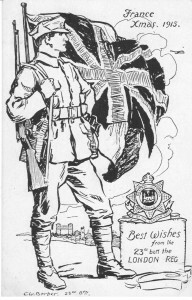 Chaplain had arranged to have midnight Mass. The room was very prettily decorated and made an excellent chapel. During Mass the Adeste was sung, and the familiar tune “transported us from the ignorant present” and linked us up, for the moment, with the loved ones at home. I said my first Mass after the men had gone, and then had a few hours rest before returning to the same spot for a 9 o’clock Mass. The “chapel” this time was a stable: a most appropriate setting for the Christmas morning Mass. The men present seemed to enter fully into the spirit of their surroundings. The service was over about mid-day and by this time I was feeling somewhat exhausted, but the end was not yet. First of all there was a sergeant to be buried, one of those who had been gassed the previous day. It was then snowing, and I had to wait awhile in the little cemetery, ringed round with new shell-holes, till the burial party were ready. I finally reached my unit soon after one o’clock, famished. I found the camp expecting a visit from the General, but it was postponed. The men’s dinner was being prepared in two ” field ovens ” we had built for the occasion, which meant that ours had to wait. To make matters worse the cook had so regaled himself with Christmas fare (chiefly liquid) as to be out of action for the time being. “In the piteous work of clearing up the wreckage of battle the chaplains found to their hand a potent instrument in the Sacrament of Extreme Unction [Sacrament of the Sick]. Quick and easy to apply, this Sacrament could help men beyond the reach of human aid and put to precious use the last, often agonising moments of life. The physical alleviations which other chaplains – in default of more practical opportunities – busied themselves in applying, were useless at that stage. 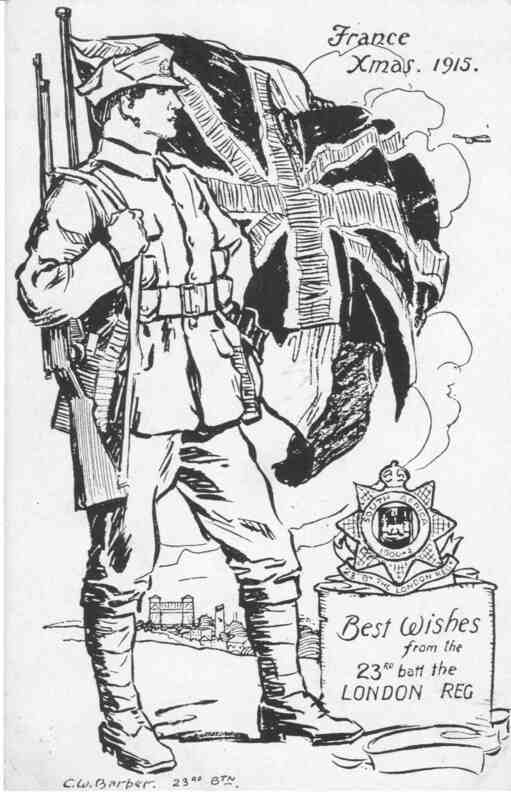 When Tancred left the army in April 1918, to return to his community at Downside, Fr Rawlinson wrote to Abbot Butler that he had been an “exceptional chaplain” who had performed “heroic and devoted work”. 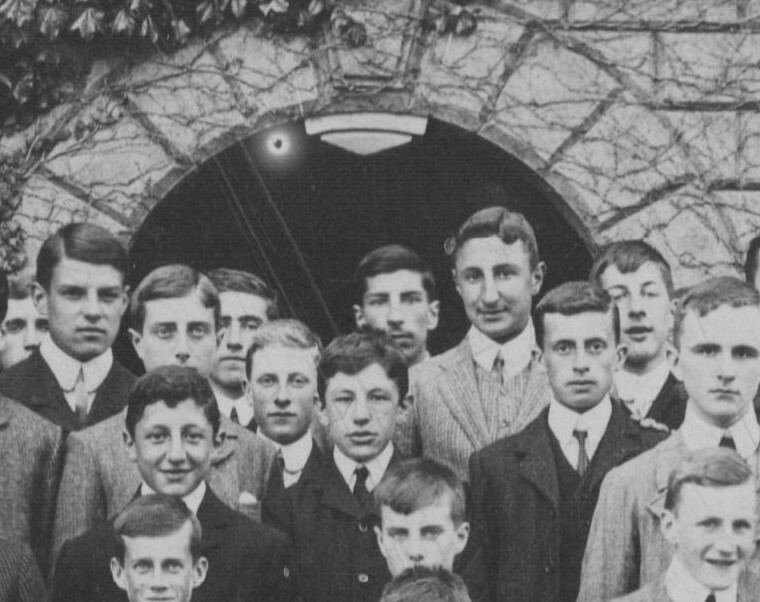 Dom Ambrose returned to Downside Abbey after the war, where he became parish priest of Radstock 1918-1932. During this time he started new parishes at Peasedown and Norton St Philip. He was often seen cycling around Somerset between his churches and contributed much to local communuity life , especially on the cricket field! He then served as Parish Priest at Whitehaven from 1932 till 1934, and St. Mary’s at Liverpool between 1934 and 1935 and again from 1939 until 1945. During the war years his church was destroyed during the Liverpool Blitz (May 1941). In 1936 Abbot Hicks sent him to join the community at Downside’s dependent Ealing Priory. In 1929 a group of clergy and laity in Ealing had started a National Catholic Society for Animal Welfare (now Catholic Concern for Animals). Dom Ambrose joined them when he arrived at the monastery and, in 1937, he became the first editor of the society’s magazine “The Ark”, in which role he continued for 123 issues through to the 1970s, despite moves to Liverpool and USA. Sent back to Ealing in 1945, he served as Prior for two years. 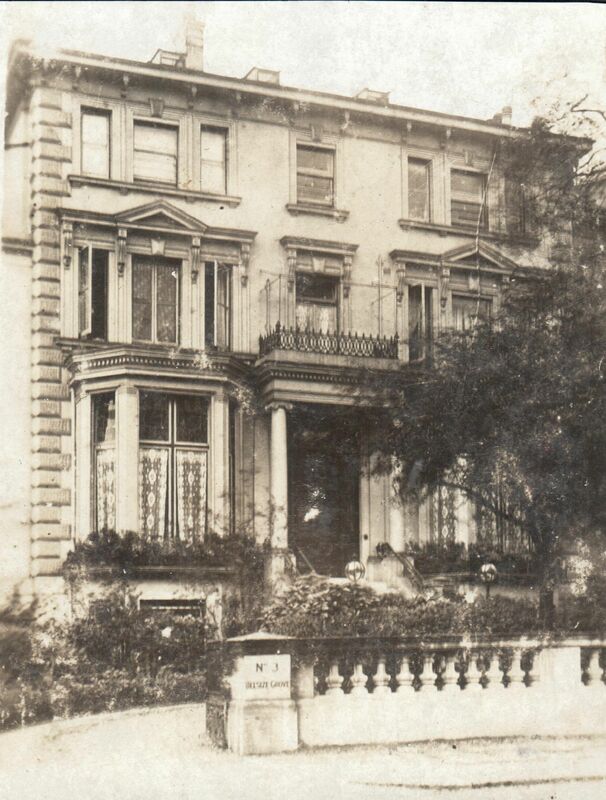 In September 1947, he transferred his monastic stability to Ealing Priory on its becoming independent. 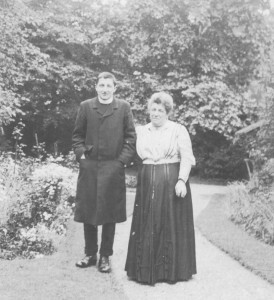 As Curate in charge of the Parish, he founded the parish magazine and after a year as Junior Master at Ealing, went to Fort Augustus Abbey in Scotland. He was then sent to the United States of America for a number of years where amongst other duties he raised funds for the Abbey Building Fund. Recalled to Ealing as Cathedral Prior of Gloucester in 1968, Dom Ambrose collapsed in his room on February 17, 1978. Rushed to hospital, he died fourteen days later at 87 years of age.